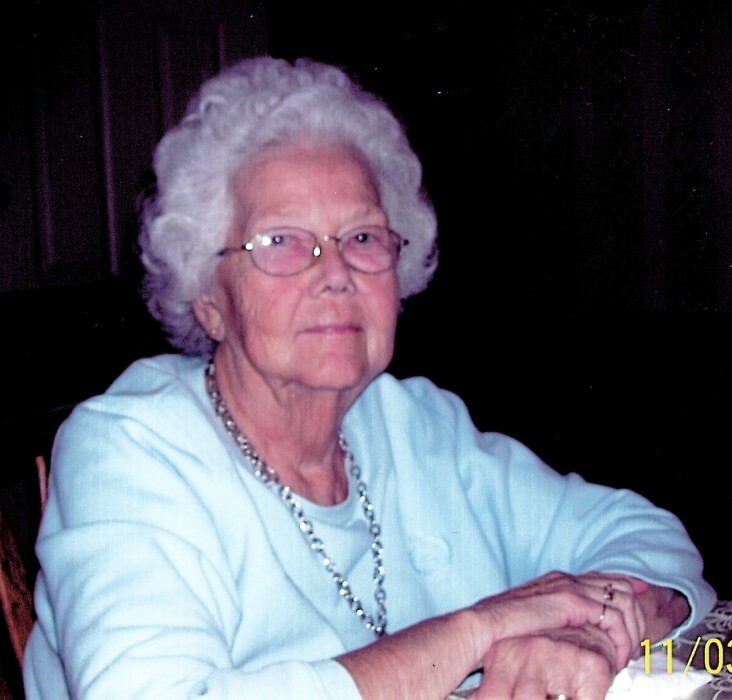 Edith Rose Hackett, 87, of rural Allen County, passed away on Thursday, January 17, 2019, at Renaissance Village in Fort Wayne. She was born in Dunfee, on May 12, 1931, to the late, William and Hattie (Felger) Auld. She spent her formative years in rural Allen County, graduating from Arcola High School as valedictorian in 1949. Edith was married to Merrill Hackett in Fort Wayne, on November 5, 1949, at the West Wayne Street Methodist Church. The couple raised their family in Allen County. She retired from United Technologies in Columbia City in 1991, after 21 years of service as a shipping clerk. She taught Sunday school for many years at the Lake Chapel United Methodist Church. Edith enjoyed traveling and traveled to all 50 states with her husband. Many of her trips included the grandchildren, where they learned of Custer's Last Stand. She also enjoyed gardening and fishing, especially in Ontario, Canada. Edith is survived by her husband of 69 years, Merrill Hackett; three sons, Dennis (Mary) Hackett, Gary (Cheryl) Hackett and Steven (Sheryl) Hackett; two brothers, Gordon (Judith) Auld and Warren (Gloria)Auld; two sisters, Doris (Gene) Bender and Alma (Robert) Fritz; five grandsons, Abraham (Emily) Hackett, Zachery (Lindsay) Hackett, Jacob(Alisha) Hackett, Tyler and Keith Hackett; five great-grandsons and one great-granddaughter. She is preceded in death by her parents; two brothers, Clyde and Earl Auld; one sister, Vera Fairchild; one great-granddaughter, Sery Hackett. Services will take place at Sheets & Childs Funeral Home on Wednesday, January 23, 2019, at 11:00 a.m., calling one hour prior to the funeral. Family will also receive friends on Tuesday, January 22, 2019, from 2-4 p.m., and 6-8 p.m. In Lieu of flowers, please direct memorials to Riley Children's Hospital.